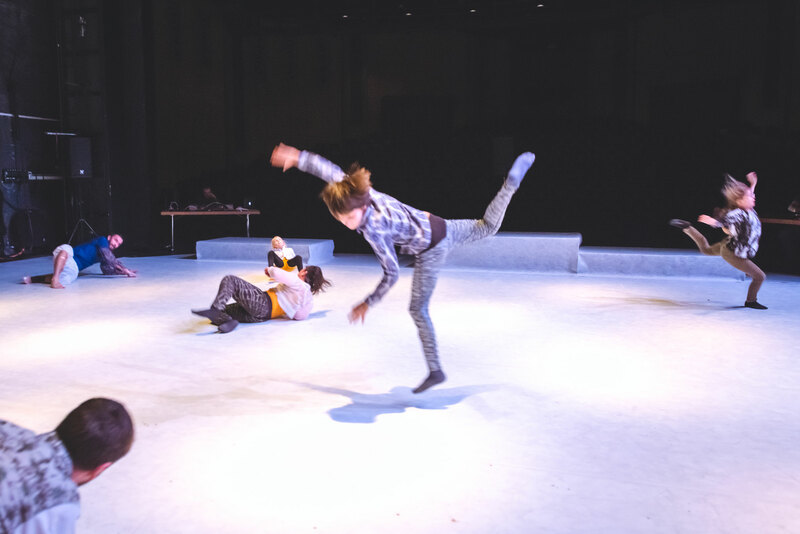 Produced by CocoonDance in Coproduction with Théâtre du Crochetan Monthey, Ringlokschuppen Ruhr Mülheim, Theater im Ballsaal Bonn. In its last productions, CocoonDance has consistently gone on a quest for the 'unthought' body. 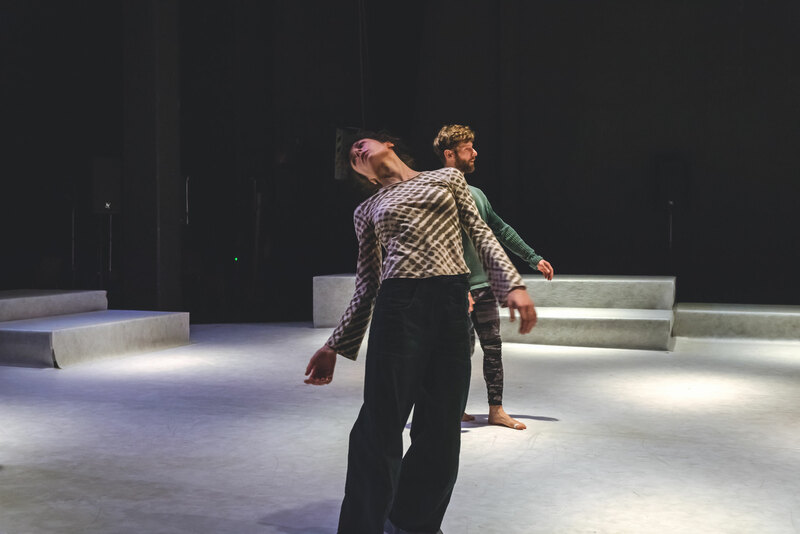 The result is more than just original dance pieces: "Experiments of the bodies, external and self-perception", which open a new look at the body and movements. Movements which not only pull through the bodies of the dancers, but also those of the audience. 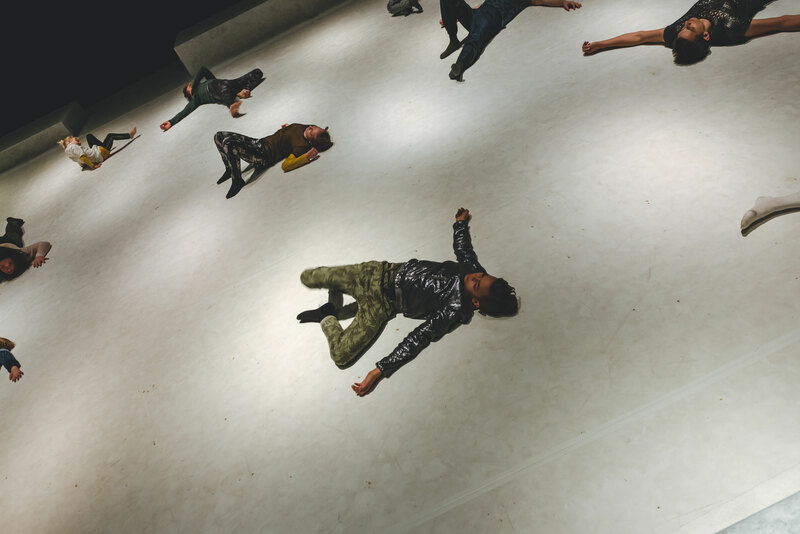 In the new project Dream City, CocoonDance is searching for a structure of multiform coexisting bodies, images of the One, further developed, more complex organism that communicates with itself. The choreography makes a physical form of communication productive, drawing inspiration from non-human, organic and instinctive processes. Bodies become in this regard bodies that are not identical with each other, but open to a progressive interlinked locomotion. 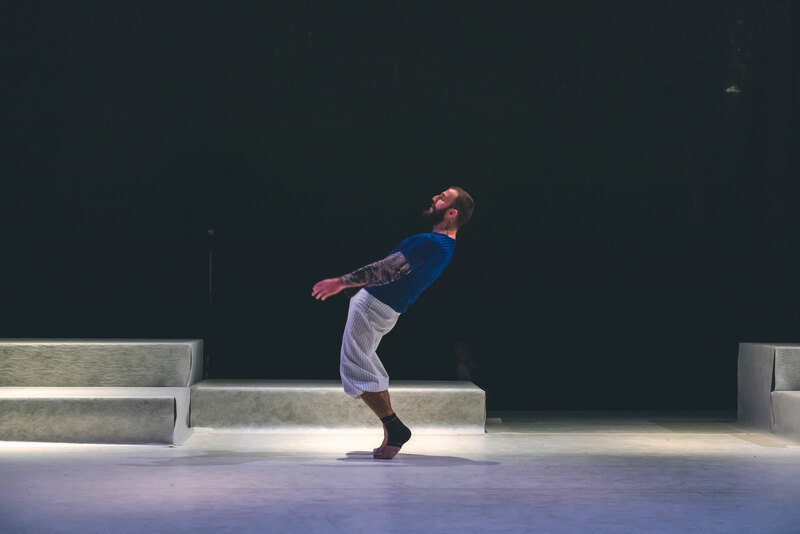 The artistic foundations of this project are based above all on the research of the motion quality of "other bodies", which has become a far-reaching approach to the choreographic work of CocoonDance. 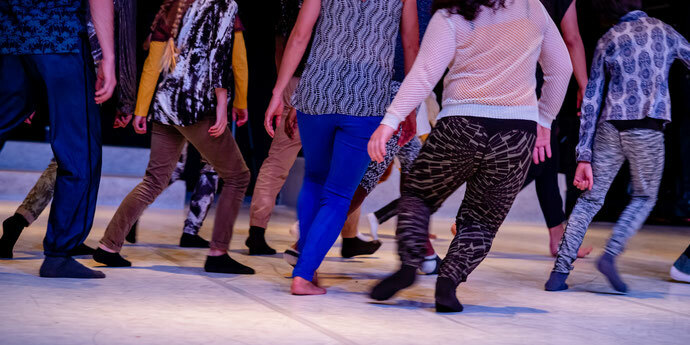 In Dream City, CocoonDance dancers will meet children and teenagers from the Junior Company, urban dancers and parcour artists as well as DJ sound artist Franco Mento. They all merge into one organism, as a polyphonic synthesis of disparate components. At the end of this impressive evening, three things in particular stick in the mind of the audience that rewarded the dance performance with downright exuberant applause. 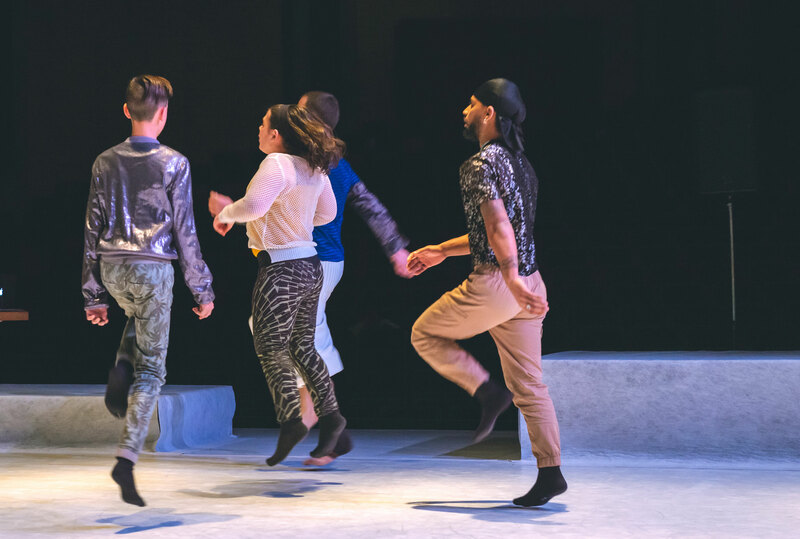 Giovanola's idea to show as many gaits as never seen before, the high performance of the dancers and the question of how the urban society of the future must look like in reality. One can hardly expect more from such an evening. At first everyone seems to be happy. Then there are couples who find each other, imitating each other's movements. Finally, there are groups of four that relate to each other. Again and again the spectators are amazed by the body control displayed by the dancers who seem to undermine the laws of gravity, and the precision in which they, despite the rapidity and narrowness of their movements, avoid any collisions. 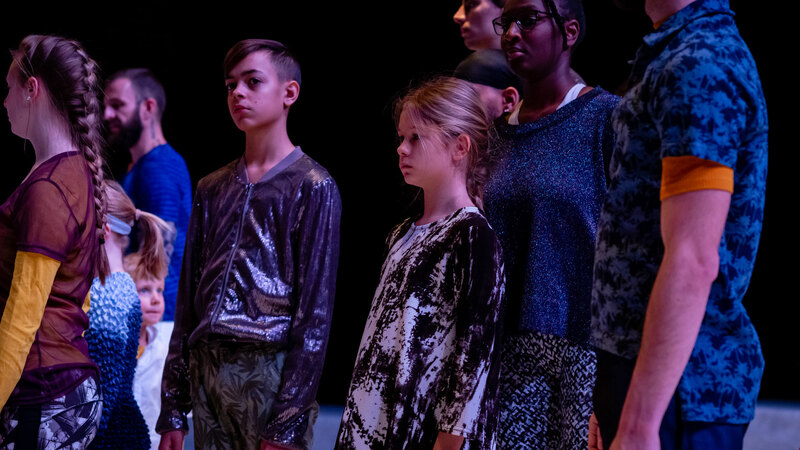 Thereby the professional and non-professional dancers, adults and children (the youngest is just eight years old), merge into a harmonious blend... .
A breathtaking evening with an enormous emotional impact. Sixteen protagonists finally populate the dance stage in Dream City. In this space, dancers of the CocoonDance ensemble meet children and teenagers from the Junior Company, urban dancers and parcour artists. (...) Their movement styles are all different, really weird and funny, yet convincingly matching the individuality of each single dancer. Slowly the spectator discovers the secret behind this: Panta rhei, all movements flow and connect to an infinite network of movement. 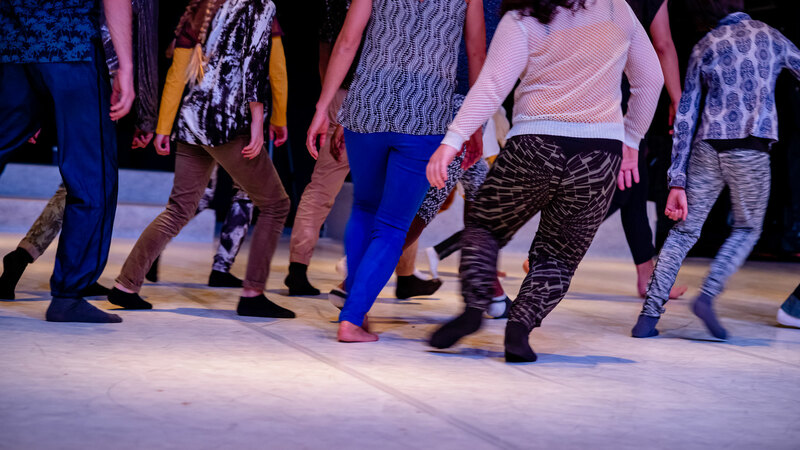 Dramaturge Rainald Endraß explains that Dream City is the result of previous projects that have evolved over many years and topics that have become important for the company, such as the exchange with other, non-professional dancers, merging into one performance project. Choreographer Rafaële Giovanola and dramaturge Rainald Endraß, who founded Cocoondance almost 20 years ago, continue ... their experimental exploration of the body, outside and self-perception, the results of which could recently be admired resulted in magnificent pieces like "Momentum", "Ghost B" and "Vis Motrix”. 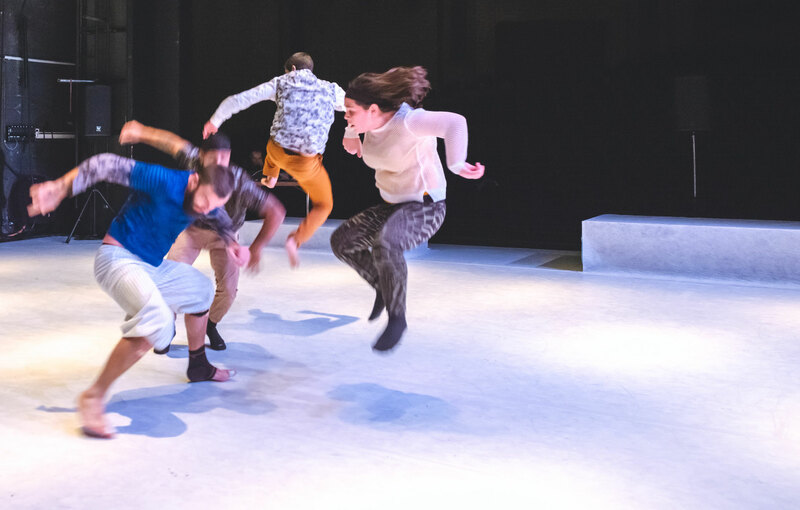 One could almost say that "Dream City" brings together those past experiences in a big crossover of movements. "You have no choice but to cross borders and speak in tongues,” writes Zadie Smith in a passage of her essay quoted in the program, describing life in the "Dream City". So in a sort of "Über-talk" that everyone understands. Only that the people on stage do not communicate through speech, but through their bodies. (...) Despite the heterogeneity of all the actors and their movements, the piece does not seem random, but, on the contrary, extremely organic. (...) Out of all that, the dance piece develops like a very polyphonic symphony which experiences a tremendous dynamic process. (...) After about 50 intense minutes the play is over. 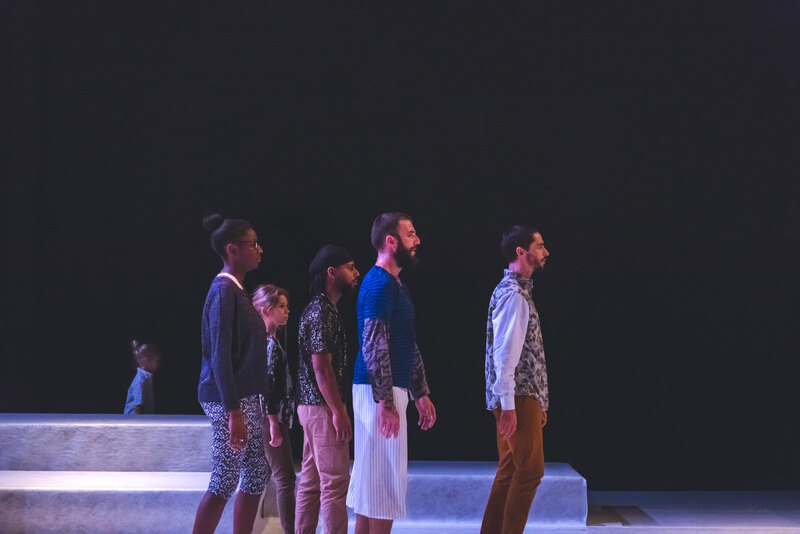 The audience, who can follow the proceedings on stage from the sidelines cowering on the gray blocks and thus becoming part of the spatial concept, was enraptured by this performance on Saturday night. Big applause. The stage is vitalized by 16 people, they come from all directions. In and out, with fearless stoicism. Normal is here: everyone has its own way. Children, adolescents, adults. Some people also adopt someone else's gait or invent or add something to it. Everything is allowed, no one is marginalized. Everyone, professional dancers and amateurs, are united by the electronic beat by Franco Mento, but heartless. Alternating dynamics give structure to the event, but do not spare it from indifference. "Dream City" mirrors blurredly the movement of cities. Like flaneurs, the dancers buzzle about through imaginary scenes, crowd together and diverge. Logic is lost in the movements, dream images arise and are blown away with each encounter. "Dream City" seems to be right next door, behind a hidden door, in the rhythmic flickering between strangely interacting bodies. But a moment later, it’s all over, the dream of the dancers changes its forms, its colors and leads into new (seductive) ideas, new movements, new fantasies. And only those who watch this fascinating troupe and the constantly reshaping ensemble and the constantly reshaping choreography, can look behind the facades of the dream city. It is a celebration of individuality in the community.